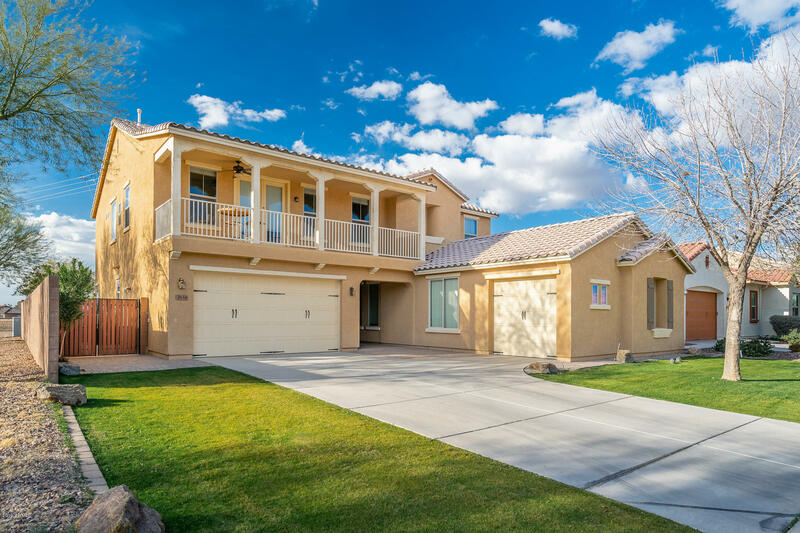 All MOUNTAINWOOD PARCEL D homes currently listed for sale in Gilbert as of 04/22/2019 are shown below. You can change the search criteria at any time by pressing the 'Change Search' button below. "Amazing move in ready spacious home with new paint and new carpet located on the perfect lot with a huge greenbelt behind and to the side of the home so you only have one neighbor!! This great room floor plan is complete with separate mother in law quarters downstairs, large den, espresso cabinets in kitchens and baths, granite countertops, stainless appliances, and more!! The HUGE master has its own private walk out deck, large master bath and closet with separate tub/shower and dual sinks. 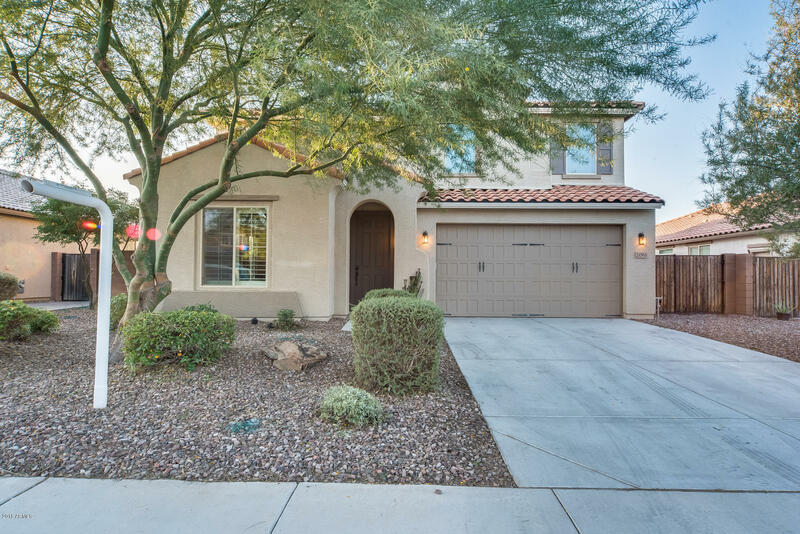 T"
"Move-In Ready Single Level home is now available in Gilbert's Adora Trails! This energy efficient and split bedroom floorplan home features 4 beds, 2.5 baths, a 4 CAR GARAGE, and large great room! 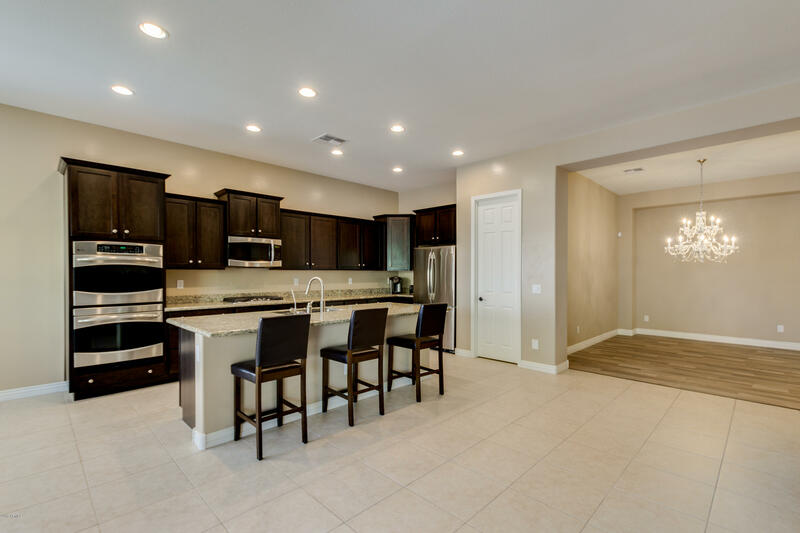 Generously upgraded kitchen with staggered cabinetry, GE Profile appliances with dual ovens/gas cooktop, upgraded granite, breakfast bar, recessed lighting, and huge walk-in pantry. Additional Upgrades Include: Central Vac, Carpeting Only in Bedrooms, Dual Pane Windows w/Coverings/Plantation Shutters,"
"Do not miss this beautiful move-in ready 3 bed, 2 and a half bath home in Gilbert! When you walk in the front door you will feel right at home, the vaulted ceilings really enhance the open floor plan. Step into your chef inspired kitchen where you will have all the cabinet space you will need, generous countertop room, and a kitchen island that has a breakfast bar that will make it easy for you to entertain. Upstairs there is an open loft that is a bonus living area that you can use as a playroo"
"5 bed, 3.5 bath, 3,512 sq. 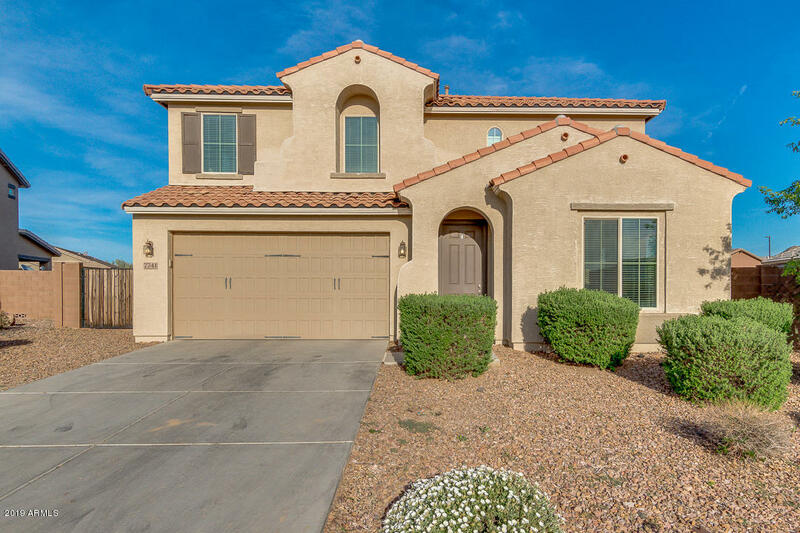 ft. 3 Car Garage property located in one of the BEST neighborhoods in Gilbert, Adora Trails is ready for you to call it home! This Turquoise model features DOWNSTAIRS MASTER BEDROOM & FULL BATHROOM, a gorgeous kitchen(staggered 42in cabinets w/ crown molding, massive granite island, & a HUGE pantry), oversized family room, living room, & den. Upstairs you will find 4 enormous bedrooms, 2 baths(1 Jack & Jill) & a spacious loft. Easy maintenance landscaping in front & ba"